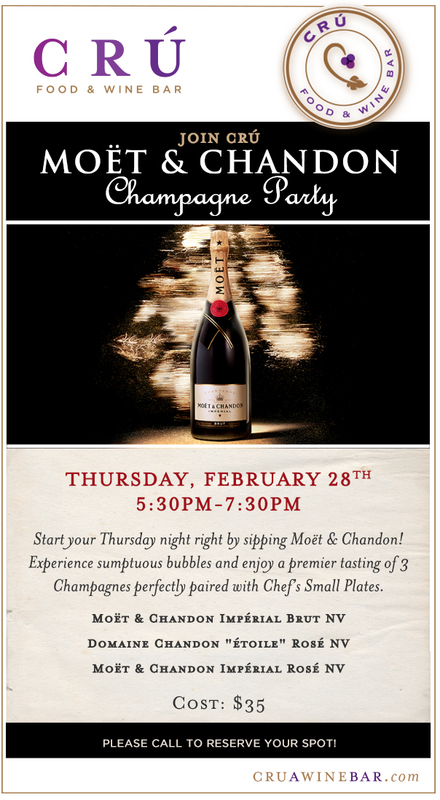 Enjoy a tasting of three sumptuous bubbly by legendary Champagne house, Moët & Chandon. Each glass comes paired with a Chef’s Small Plate. $35 per person.